Last August saw the release of 4Wall LLC’s Jewish Internet Metric Study. It is a project aimed towards helping the Jewish community understand the “hurdles and opportunities” presented by the Internet. Certainly the idea behind this research flies in the face of fliers posted in residential ultra-orthodox areas in Israel which read, “אינטרנט מביא סרטן” or ‘The Internet Brings Cancer‘. Using the practices of the Mckinsey Consulting Firm to get a close-up look at the “Jewish Web”, 4Wall examined data from search engines, taken from between April and June of 2009 to get an understanding of “Web engagement, traffic, demographics, content architecture and market response.” The study analyzed current traffic volume and the four year change in traffic volume of 32 Jewish search terms. 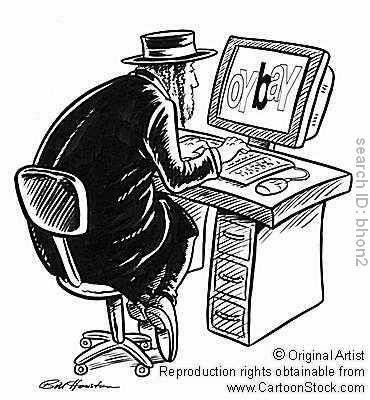 Researchers were surprised when they found an apparent steady decline in Jewish Web-surfing. The main five terms on the decline of the four year spread included: “Judaica” (-54%), “Reform Judaism” (-66%), “Anti-Semitism” (-74%), “Jewish Dating” (-85%) and the largest drop, “Kabbalah” (-87%). The five highest searches were: “Jewish,” “Israel,” “Holocaust,” “Jerusalem” and “Kosher”. Still even these terms generate less traffic than they did four years ago. The complete sample set of 32 Jewish terms drew an average decrease in search traffic of 25%. Five search terms, however, became more popular since 2005, these are: “Rosh HaShanah” (49%), “Chabad” (21%), “Challah” (16%), “Matzah” (10%) and “Yom Kippur” (9%). Despite the decline in Jewish search terms, though, the study DID find a rise in traffic to Jewish news, blogs, education and general information sites. Actually there was a 62% increase in traffic to Jewish news Websites, just within this past year. After trying to post my first blog ever on any site, an amazing thing happened. I was blocked and unable to express my view. I simply started in that I with to apologize for living in a country that does not follow God’s Law plus not follow the laws that were written by our forefathers. I ask for forgiveness from the people of Israel for having political leaders that govern using their own free will and not following the laws of the land or God’s Laws. God instructs his people to help and protect Israel and for their land to be maintained as a country. I pray that God will not hold every person accountable in the USA for having officials in power making decisions that are not agreeable to me. I’m truly sorry that my voice feels as though it can not make a difference; however, God hears my prayers. I pray for strength for the leaders of Israel and for Israel’s people. May each accept my apology for government decisions that even today was trying to deleted by not allowing my first posting that I, Donna Bailey, continues to have strong disagreement with not providing support to God’s Given Land (ISRAEL).